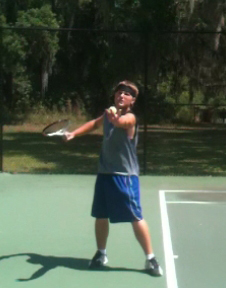 The serve is the most important stroke in all of tennis. It is the one (and only) stroke that is done on every single point of a tennis match. Theoretically one would only need to serve and return serve to win a match. No groundstrokes would be required. 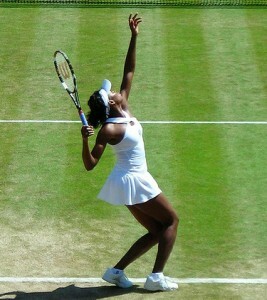 A player could hit such a good serve on every point that their opponent could never return the ball in play. They could then return serve so well that their opponent couldn’t return their return of serve. No groundstrokes are required. Of course this never happens in a real match, but the point is that players don’t put enough importance on the serve. I’ve seen literally thousands of people “practicing” who only hit groundstrokes from the baseline. I’ve seen them do this for hours on end and never once hit a serve. Mathematically it does make sense to practice groundstrokes. During a match many more forehands and backhands will be hit then serves, but while only one serve (or two if you miss the first one) is needed for each point, the serve is the most likely shot to dictate how the point will progress. This makes it the most important. Since its the most important stroke it needs to be practiced a lot. But, practicing a technically unsound serve will not drastically improve your serve. Practicing a technically unsound serve will not improve the serve much at all, even if it was practiced 100’s of hours. I’ve seen many instances of a superior overall player taking much longer to beat their opponent because they don’t have a big enough serve and their opponent can easily return the serve and elongate the point. A good thing about the serve from a learning standpoint is that there is not much debate on the basic technical aspects of the serve. There is no “modern” serve. Pro’s have served the same basic way for a hundred years. Do an internet search on serving and they will all be similar. 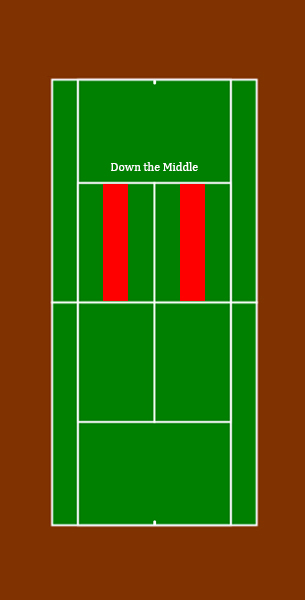 There is no disagreement on the grip that should be used (continental), or of the general path the racquet should take, There is little disagreement on body position before serving or that the toss should go above the head and the ball should be struck over the head. You don’t see many people advocating an underhand serve for instance. Overall, you can get a reasonably good serve by looking at any website or taking a few lessons from a decent teaching pro. OK, so I just may have shot myself in the foot there… Why use this site over others if a reasonably good serve can be obtained elsewhere? Well, there are many reasons. Even though most elements of the serve are agreed upon, there are many elements where there are disagreements. There are many disagreements on the ball toss, including how high to toss the ball and where the ball should be in relation to the body at the contact point. While there are other examples of disagreements, the biggest reason to take this course is the emphasis placed on correctly doing every element of the serve. 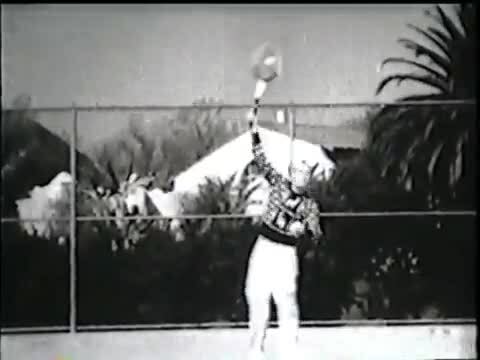 Many teaching pro’s are fine with a player having a reasonably close facsimile of a good serve. Unfortunately this is not good enough if a player wants a great serve. I’ve seen thousands of recreational players serve at my weekly serving clinics and I would say less then 2% serve correctly. Every player who did serve correctly (minus one) took lessons. In other words to learn to serve correctly you need lessons, either through the web or through a teaching pro. The hardest element of the serve to learn is to pronate. The reason that this is so hard is that players tend to put their racquet in a position where they do not need to pronate.What does pronate even mean? The definition of pronate is to turn or hold (a hand, foot, or limb) so that the palm or sole is facing downward or inward. For tennis serves we are concerned about the hand. 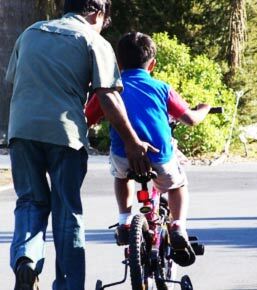 The palm of the hand must stay down and then inwards towards the body til the very last second of the service motion. 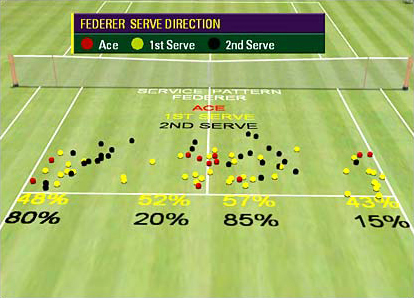 While the serve looks much different then any other tennis stroke, most of the parts of the serve are the same. There is a starting position that is equivalent to the ready position. There is a unit turn, a forward swing, a contact point and a follow through just like any groundstroke. The main differences between a serve and a groundstroke is a racquet raise instead of a drop and needing to use the non-dominate hand to toss the ball. What constitutes a good serve? At the most obvious level one could say any serve that wins the point is good. I can’t argue with that, but there is a combination of three things that all, to some degree, makes a serve good (hopefully great). 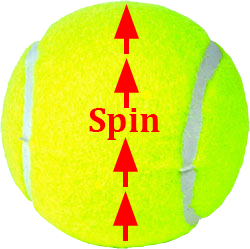 These elements are the speed of the ball, the spin put on the ball, and the placement of the ball in the service box. Its a combination of all three of these that determines how good the serve is. Is one element more important then the other? There is not an easy answer to that question. If I could only pick one element to have I would pick placement followed by spin and last speed. Although I strive to have someone be able to do all three equally well. I feel that all three elements are of equal importance as missing one of the elements tends to diminish the other elements. The most impressive part of a serve and the element everyone tends to strive towards is speed. Seems the faster someone can hit a serve the better everyone seems to think it is. Doesn’t matter if they make it in the proper service box only once every blue moon, the harder it is hit, the better. Of course these same people have a second serve that moves at about the pace of a tortoise. I call this the tortoise and hare syndrome. I am sure you know a player like this, maybe you are one of those players? Speed is definitely important to a good serve, if the serve is too slow it wouldn’t matter how good the placement is as a quick player could just run around and hit the shot they want to. Also, not swinging quick enough would make the spin but on the ball a non factor. Increasing service speed will happen automatically when the serve is done correctly. A serve that is technically correct will automatically generate more power then a serve that is technically wrong. 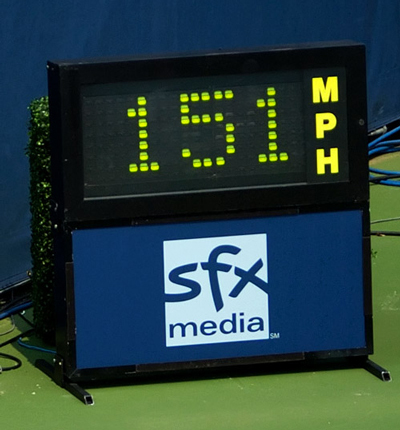 Because of this speed is usually the last of the three elements of the serve to happen as even technically doing one thing wrong can dramatically decrease serve speed. Sometimes speed can be increased without correct technique but it always comes at a cost. Increasing speed with wrong technique at best can lead to a decrease in serve percentage and at worse can lead to elbow or shoulder problems. The rotation of the ball when serving can greatly enhance the serve. Topspin on a server, often called a kick serve, can allow for greater consistency as it allows the ball to be hit higher over the net while also allowing the ball to bounce higher after it hits the ground. Side spin, often called a slice serve, can help the ball move farther away from an opponent. A spin/slice serve can accomplish both. Placing spin on a ball while serving allows for more variety. It is virtually impossible to place the same amount of spin on two consecutive serves. This means that every time someone puts spin on the ball the serve will bounce slightly differently. This makes it more difficult for the opponent to groove in on the serve since it will be slightly different every time. Placement is very important to a good serve. Good placement can allow a server to place the ball to an opponents weaker side. This is especially important on second serves when the serve is hit with less speed. 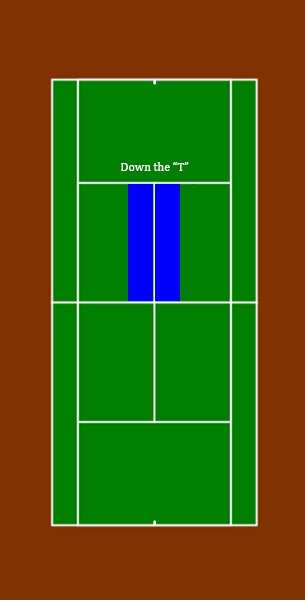 A server who can direct the second serve to their opponents backhand (usually their weaker shot) keeps their opponent from hitting an offensive shot with their forehand. 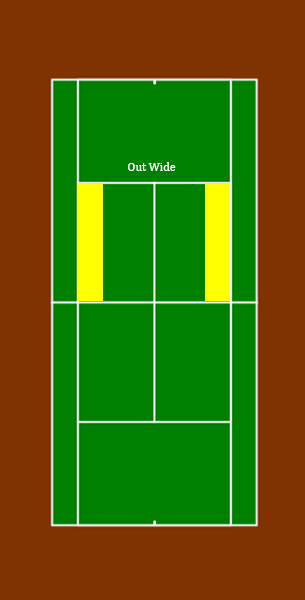 Depth is also important for placement of serve. In most cases it is best to hit the ball deep into the service box. While learning a correct serve is the hardest thing to learn in tennis, it is also very much like learning to ride a bike. Once you learn to serve correctly you will never have to relearn it. You will always have a proper serve. The bottom line is that a serve should not be thought of as just a way to start the point, a necessary evil. A serve is the best and easiest way to dictate how the point goes. Its a good way to put your opponent into a bad position from the start of the point.